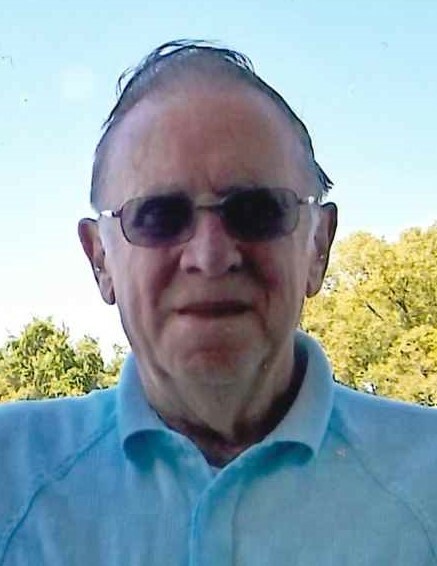 William M. “Bill” Hunter, 88, of Pleasant Twp., Warren, PA. died Wednesday evening, November 14, 2018 at Warren General Hospital after suffering an apparent heart attack. He was born May 4, 1930 in Tionesta, Forest Co., PA. Bill was a Warren area most of his life and was a 1948 graduate of Tidioute High School. He had served with the United States Army in Germany during the Korean War. He had been employed with his cousin, Ernie McGraw at Pittsfield Construction and then worked for many years with the former National Forge Company in the Mill House as a bricklayer, retiring in 1993. After his retirement, he worked part time driving for Ekeys Florist. Bill was a member of St. Joseph R.C. Church where he was a former usher. He was a 3rd degree member of the Warren Knights of Columbus and enjoyed playing cards with the Wednesday night guys. He was a member of Warren American Legion Post 135, Tidioute Veterans of Foreign Wars Club. He enjoyed fishing for native trout and was a volunteer with the Paws Along the River. Bill is survived by his two children, Rebecca Schwind and husband, Alan of Rochester, N.Y., Michael Hunter and wife, Debbie of Warren, PA., Long- time friend, Donna Miller of Warren, PA.,3 Sisters – Mary Sampson and husband, Charles, Sarah McLoughlin all of Tidioute, PA., Patricia Christy and husband, Ralph of Warren, PA., 4 Grandchildren – Jackson, Douglas and Allyson Schwind, Kaylee Hunter, 1 Step Grandson – Joshua King, 1 Great Grandson – Logan King, several nieces and nephews. He was preceded in death by his wife of 37 years, Loretta M. Cohan Hunter who died April 26, 1993 whom he married November 5, 1955 in Warren, PA., his parents, Russell K. and Bernice Martin Hunter, 1 sister – Ruth Miller.